Who can I sue if I Slip on Public Property? You can sue the owner of the property. In most "slip and fall" accidents, the owner of the property that you are injured on is liable to you. This liability even extends to state and local governments like towns, cities, and municipalities. However, suing states and local governments also raises different rules including statutes of limitations. How Would I Sue A Public Body If I Slip And Fall On Its Property? Do Illinois Slip And Fall Cases On Public Property Have Special Rules? What Should I Do If I Slip On Public Property? How Do Cities Fight Slip And Fall Cases? How Can Personal Injury Lawyers Fight For You? Do You Need Help With An Illinois Slip And Fall Claim? Lawsuits in Illinois for slip and fall cases are governed by general negligence principals. This means that you must prove that the defendant owed you a duty, breached that duty, and that the breach caused your damages. If the wrongful party is a public entity, like a municipality, then that overall framework does not change. If you were invited or had a license to be where you were when you slipped and fell, then you can bring a lawsuit against the relevant entity that owned the property. In that suit, you must demonstrate how the public defendant did not live up to its duty to provide you with reasonable care as you passed through the area. You can use a multitude of facts to illustrate this. The point remains, however, that the broad confines of your Illinois slip and fall case are not altogether different from traditional negligence actions. 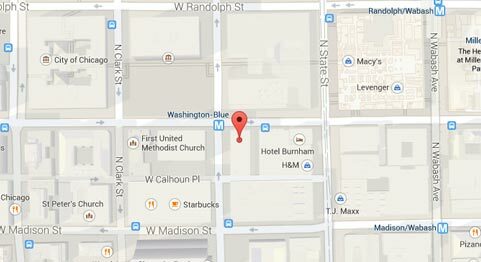 There are some unique aspects to Illinois slip and fall litigation when the property involves was public. First, you only have one year to file your suit after the accident. 745 ILCS 10/8-101. Note, this is significantly shorter than the statute of limitations for regular personal injury claims: two years. 735 ILCS 5/13-202. Second, you must file your action in the Illinois Court of Claims. This is a specific court erected to hear mattes against the state. It maintains its own rules and requires an adept understanding of its processes. These aren't the only differences between Illinois slip and fall cases on public property versus those on private property. However, they are some of the most conspicuous and consequential ones. If you slip on public property in Illinois, there are number of steps you need to take in order to secure your right to pursue future compensation. 1) Immediately call a Chicago personal injury lawyers. They can gather everything they need for your case and protect your suit from mistakes. 2) Seek medical attention. This will ensure that your injuries don't get worse and log all adverse health issues that the slip caused you. 3) Cut off communications with the property owner. This should only be done through your lawyer. 4) Research your city. Whoever the public property owner is, they should have rules regarding their premises and a record of any past actions against them. These will be critical to your case. 5) Write down your thoughts. Make a list of all your memories, questions, and concerns about how the slip and fall happened, who was there, and how you felt. These will be invaluable for trial. SEVERITY: In slip and fall cases, public property owners will normally deny that the plaintiff's injuries are as great or severe as he or she claims. THIRD-PARTY: Often, defendants in public property slip and fall cases will refuse that the incident occurred on its land. They might claim the actual owner is a vendor or insurance carrier. RESPONSIBILITY: This might be the most common excuse that cities give in slip and fall cases. In this defense, they point the finger at someone else or even the plaintiff as the culprit for the incident. In this regard, they try to shift all of the blame off their shoulders. 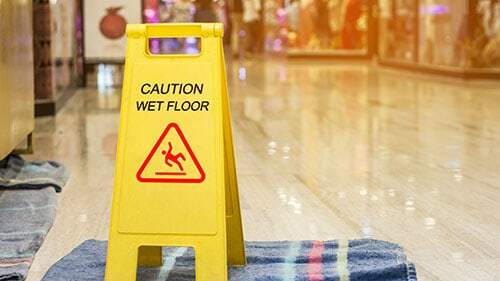 Obviously, there are many other ways that public property owners attempt to dodge responsibility for slip and fall cases. Also, circumstances of the incident will dictate which way they go. However, these are some of the most common tactics they use in Illinois slip and fall lawsuits. SEVERITY: If the defendant tries to deny the extent of your injuries, your lawyer can marshal in all relevant medical records and bills that the incident caused you to buttress your entire claim for compensation. THIRD-PARTY: To deny the defense that the defendant isn't the true owner of the land involved in the dispute, your Chicago personal injury lawyer can use city records of property ownership or lease contracts to verify that they have the right party is in court. RESPONSIBILITY: To prove that the defendant is responsible for your injuries, your attorney can use court procedures, pleadings, motions, arguments, and examinations to convince a jury of its fault. This must be demonstrated in court and requires careful planning and delivery. Thus, only choose Chicago personal injury lawyers that have a record of doing this before so that your recovery is not jeopardized due to inexperience. Even if you can sue a government body for your slip and fall injuries, that doesn't mean it will be easy. Many cities have vast resources to fight back and they often do. Thus, getting anything from them can be difficult. It will take a lot of investigation and legal experience to make the substantive and procedural points that you need to in order to be successful. Additionally, governments have their own rules. For instance, you have less time to bring your case against them than you do against other defendants. Rosenfeld Injury Lawyers LLC has worked for slip and fall victims against many kinds of wrongdoers and has learned the intricacies that govern these lawsuits. We can help you with your claim. Call us today for a free consultation. There is no obligations and we can answer many of your questions in just one meeting. You can reach us at (888) 424-5757 of by using the contact form. Do I need to demonstrate that the owner of a property had 'notice' in a slip and fall case? Do I Need A Lawyer For My Slip And Fall Case? Do Stores Have to Remove Snow And Ice From Their Property? How Are Building Codes Used In Slip And Fall Cases? If I'm Invited to a Home and I Slip and Fall, Then Can I Sue That Person? Is a Business Liable If They're Told About A Spill And Do Not Clean It Up And Then Someone Slips And Falls? What Must Businesses Do to Prevent Slips, Trips, And Falls? Who Is Responsible For Slip And Fall Accidents?